You can save the reports with the predefined filter data for quick report issue. Click Reports tab in the project list as a home page. Save a new report by clicking New. In the New Report dialog box type a name in the Name field. Proceed with the filtering of the report data as you want and click OK. 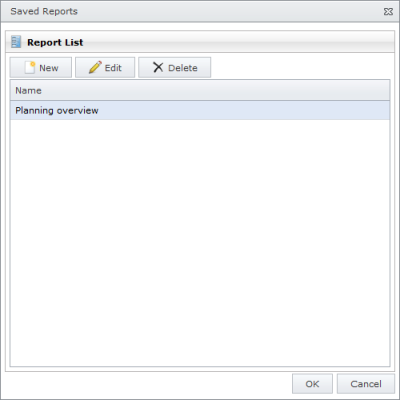 The saved report is now displayed in the Name List, in the Saved Reports dialog box. For more information on how to filter a report, see Filter report data. Change the saved report. Choose one from the Name List and click Edit. In the Edit Report dialog box filter the report data as you want and click OK. Remove the saved report from the Report List by clicking Delete. The saved report will be displayed left on the projects page, in the Reports area. Manage the saved reports - InLoox • Copyright 1999-2019 © InLoox GmbH. Tutti i diritti riservati.